Altera has joined the IBM OpenPOWER Foundation which develops data centre chips using PowerPC Altera’s FPGA-based acceleration technologies. 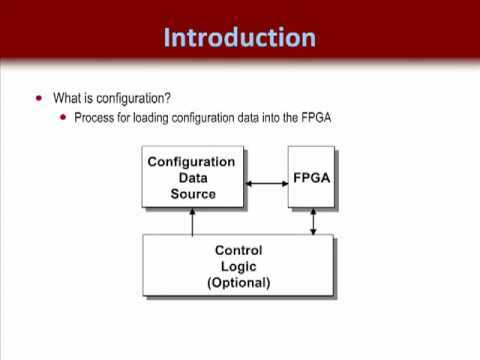 FPGAs provide PowerPC users with configurable hardware so reducing opex by increasing performance while using less power. IBM and Altera have already worked together to create a coherent interface between PowerPC 8 processors and Stratix V FPGAs. SAN JOSE, Calif., March 5, 2014 /PRNewswire/ -- Xilinx, Inc. today announced the pricing of its public offering of $1.0 billion aggregate principal amount of its senior unsecured notes pursuant to an effective shelf registration statement previously filed with the Securities and Exchange Commission. FPGA manufacturer Xilinx who announced last year some test-chips on TSMC’s 16nm FinFET process, and who is already using 2.5D packaging for its multiple-die 28nm FPGAs, is laying grounds for heterogeneous multi-processing on 3D ICs. The company announced its UltraScale Multi-Processing Architecture for what it says will be the industry’s first All Programmable MPSoCs. Xilinx and Xylon, the supplier of logicbricks customisable embedded development boards, have intoduced an automotive driver assistance system (ADAS) design based on the Zynq-7000 All Programmable SoC. The logiADAK platform comes with evaluation IP cores and a full design framework for camera-based ADAS, with up to six 1Mpixel cameras supported. The initial era of programmable technologies contained two different extremes of programmability. One extreme was the single-core CPU and DSP units. These were programmable using software consisting of a list of instructions to be executed. Backhaul can be a major gating factor in a carrier’s analysis of potential small cell deployments, especially in outdoor venues where Ethernet is not an option. Chipmakers see opportunity in the wireless backhaul market, and are addressing the need with a variety of solutions. Xilinx has current availability of radio IP For LTE and Multi-Carrier GSM (MC-GSM) platforms which have Crest Factor Reduction (CFR) and Digital Pre-Distortion (DPD) features enabling radio efficiency up to 50 percent. Xilinx CFR and DPD SmartCORE IP, and the Zynq-7000 programmable SoC allows a single chip radio implementation. Altera and Escape Communications are making available for evaluation scalable microwave backhaul solutions using Altera’s FPGAs and Escape’s QAM modem IP cores. They address traditional microwave backhaul markets (6 – 42 GHz) and emerging applications in the E-band (70/80 GHz) and V-band (60 GHz) all-outdoor radio (ODR) markets. Altera and Wind River have developed and deployed tools and solutions for Altera's SoC FPGAs. Following the collaboration, Wind River's operating systems and development tools now support Altera's multicore ARM processor based SoC platforms.